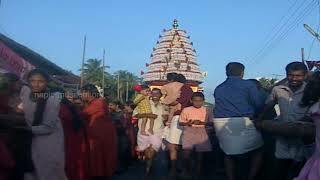 Temple cars or chariots are used to carry representations of Hindu Gods on annual festival days. Many people gather at the temple premises and pull it manually by using a rope. It will be accompanied by the chanting of mantras, hymns, shlokas and bhajans. The mighty car won’t move until thousands of people pull it at the same time. The displayed chariot, even though it is comparatively small, has the usual five layers. These displayed layers are small but are perfect examples of carvings which can be classified as images, narrative scenes from Ramayana, Bhagavatha, Sivapurana and symbolic decorations. Images of Brahma, Vishnu, Shiva, Goddess Durga and incarnations of Vishnu and aspects of Shiva are all represented. 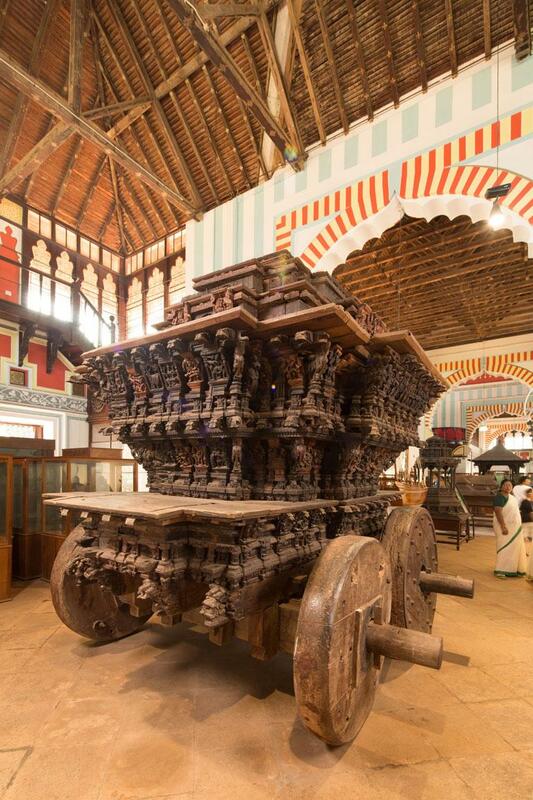 The temple car is something that is never to be missed in the Museum. It is exceptionally beautiful and royal. This massive structure decked with elaborate figures carved intricately is really an astonishing sight.